Butter products are almost never marketed as healthy in the dairy aisles of the supermarkets, as we are often told that margarines are much healthier. Yet, apparently, it is the other way around. Sometimes, it is difficult t tell the difference between some margarine and butter types, as they are similar. Yet, margarine is a product of a scientific process which results in trans fats, which are detrimental to our health. It has been created as a cheaper alternative to butter and began to be mass produced in 1903. Then, it was discovered that the addition of hydrogen to vegetable oil creates a more solid, spreadable product. 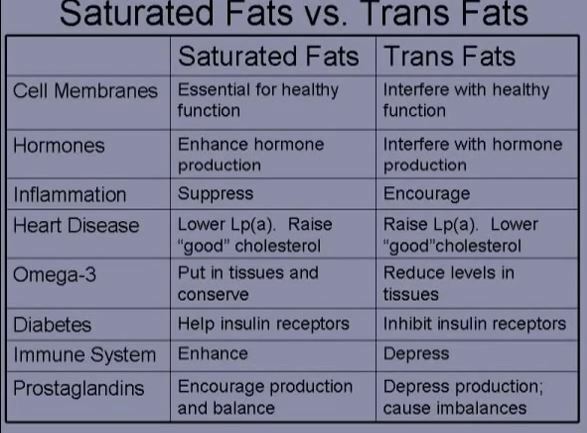 The early manufacturers were not aware of the harmful effects of trans fats, but recently, experts have found that trans fats act differently in the body to saturated and unsaturated fats, which are needed for the body in order to function properly. Fats, like omega 3 and 6, are vital for the function of the brain. Vitamins A, D and E and all fat-soluble vitamins are also important, as they transport fat throughout the body. Trans fats function in another way, and their molecular structure is different. According to one study, (Dalainas & Ioannou, 2008) the increase of the energy taken from trans fats by 2% raises the risk of coronary artery disease by 23%. In the 1950s, butter was given a bad reputation, when high cholesterol levels (found in butter and animal fats) were related to heart disease. Afterward, the findings of these studies were found to be wrong, and people were told wrong facts that a high-fat diet is related to heart diseases. Nowadays, it is known that the kind of fat found in simple carbohydrates such as bread and sugar is actually the main culprit for the development of cardiovascular diseases. On the other hand, it has also been shown that slightly higher cholesterol levels lead to a longer life. Therefore, you should think twice next time, before you decide whether to buy butter or margarine and prevent adverse effects on your health.